Posted: August 30, 2016 10:15 a.m. 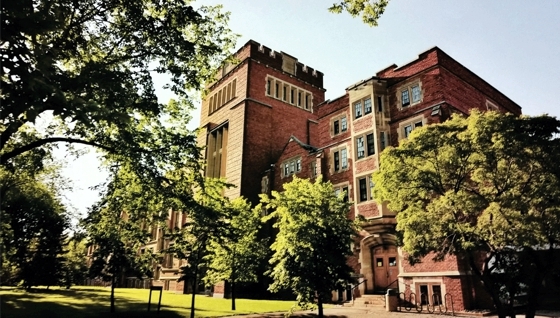 The funding from Conexus will also enable the University to fully match the $27.6 million in funding for CAC Renewal Project announced by the federal government on August 19. • Providing space and support for a business incubator, making staff available as mentors or guest lecturers, and offering Conexus as a working lab for student research. The University conducted public consultations on the proposed partnership with Conexus in June. These forums were advertised in the Leader-Post and included two open public forums, a series of targeted consultations with business groups, heritage groups and many others, as well as solicitation of electronic feedback from approximately 25,000 students, faculty, staff, alumni and members of the public. The land proposed for the Conexus building was approved for future development in the Wascana Centre Master Plan and the University Master Plan released in May 2016. The joint process used for developing both these plans included three public meetings in 2015 and opportunities for input through an online survey.